Paida Mutopo, 20, from Rochdale, was informed she was HIV-positive when she was just 11. 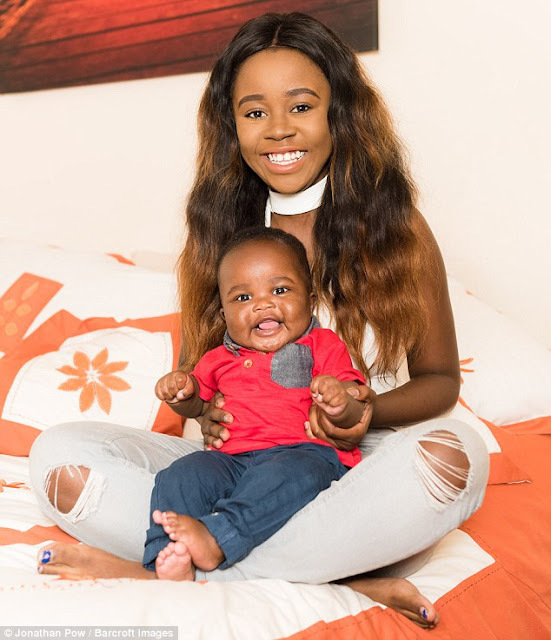 But despite her fear of passing on the potentially fatal disease, she gave birth to her son Kai five months ago but tests have confirmed he is free of the virus. 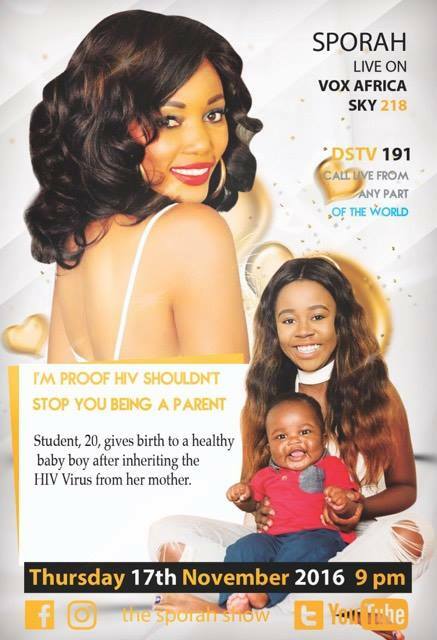 Paid is a student who inherited HIV from her mother has spoken of her relief after giving birth to a healthy son. Paida Mutopo, 20, from Rochdale, was told she was HIV-positive when she was just 11 and feared she would never have children for fear of passing it on herself. But advances in treatment have mean the amount of the virus in her system is now undetectable - and she can lead a normal, healthy life. She was also able to take medication to reduce the risk of giving the virus to her children. Five months ago, she gave birth to her son Kai and was thrilled when tests confirmed he was free of HIV. CATCH UP WITH SPORAH LIVE 9:00PM UK TIME ON VOX AFRICA TV - SKY 218, DSTV 191. Tune in to Vox Africa TV TOMORROW THURSDAY 17th Nov, 2016 at 9:00pm UK Time. on a very special program about HIV and people living with HIV. Sporah will be talking to PAIDA who is on a mission to simply educate the community about what is like to be a young person living with HIV. Also we will have a special Doctor who will be taking all your questions concerning HIV Disease. REMEMBER It's going to be LIVE ON VOX AFRICA TV SKY 218 (Europe) DSTV 191 (Africa) You Can Join us by Calling direct and talk to Sporah LIVE on your TV wherever you are.